The Regina Pats Hockey is pleased to announce the details for their A&W Home Opener on Saturday, September 22 against the Prince Albert Raiders. The club will begin Saturday with the annual Home Opener Barbecue presented by A&W at the Armouries Yard, (1600 Elphinstone St), from 4:30 to 6:30 p.m. A burger and a pop will be available by a suggested two-dollar donation to Sheep Dogs for PTSD. Sheepdogs for PTSD is a group of Saskatchewan First Responders, Veterans, friends and family that are trying to bring awareness to PTSD and raise funds to help purchase a Service Dog for a First Responder and/or Veteran with PTSD in Saskatchewan. 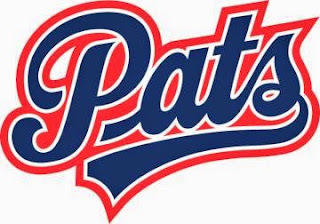 Following the barbecue, the Pats will take on the Prince Albert Raiders at 7 p.m. at the Brandt Centre. The club will kick off the 101st season with a big pregame show, including player introductions. The Pats are excited to offer a massive starting 50/50 pot on Saturday. Due to an unclaimed ticket from the 2018 Mastercard Memorial Cup, the pot will start at over $60,000 before a single ticket is sold. 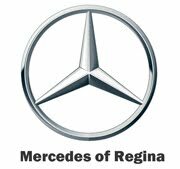 Tickets for the game are available at reginapats.com. Be sure to check out the Pats brand new merchandise at the Pats Store on Saturday. 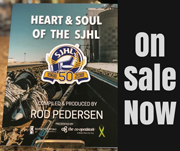 New stock is in for the 2018-19 season and is available now at the West end of the Brandt Centre.